Patrick passed away Wednesday, August 30, 2017 surrounded by his loving family at his home in Plainwell. He was born November 17, 1944 in Otsego Township the son of Leonard and Flouedra (Robar) Riley. Patrick served his country in the US Army in Vietnam and was awarded the Bronze Star. For 25 years he had worked at Plainwell Paper and then for 10 years at Perrigo until his retirement in 2009. In his spare time Patrick enjoyed fishing, hunting, watching survival shows and UFC. On June 23, 1984 in Otsego he married Rose Ann Belcher who survives. 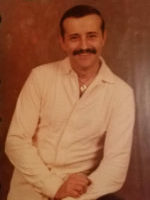 Also surviving are his children, Patrick T. Riley, Tina (Larry) Riley, Michele (Brian Kester) Mellberg, Kelly Horn and Robert (Wytney) Riley; many grandchildren and great-grandchildren and siblings, Marion Riley, Leonard Riley, Leona McKee, Katheryn Menck and Margaret Delp. He was preceded in death by his parents and brothers, David and George Riley. Friends may visit with Patrick’s family from 6-8 P.M., Friday, September 1, 2017 at the Winkel Funeral Home, Otsego where a funeral service will be held at 11:00 A.M., Saturday, September 2, 2017 with Celebrant Bill Rose officiating. Burial will follow at Mountain Home Cemetery in Otsego. Military Honors by Otsego VFW Post #3030 and the US Army. Contributions in memory of Patrick may be made to the American Cancer Society. Messages of condolence may be posted at www.WinkelFuneralHome.com. David passed away Wednesday, August 30, 2017 at Wings Home in Allegan. He was born November 5, 1932 in East Leroy, the son of Calvin and Margaret (McKee) Lovett. Dave was a 1951 Otsego High School graduate and lifelong resident of the area. He had owned and operated a centennial farm and over the years had worked as a machinist at Valley Metal, Rockwell and Eaton. Dave enjoyed buying and selling collectible firearms, Native American and War artifacts. He was a lifelong member of the NRA. Surviving are his sons, Cole Lovett of Bloomindale, Brad Lovett of Texas, Lane (Mary) Lovett of Kalamazoo and Kal (Ronda) Lovett of Otsego; 14 grandchildren; 8 great-grandchildren; 1 great-great-grandchild and his sister, Sandra Lefkovits of Massachusetts. He was preceded in death by his parents, granddaughter, Dana Lovett and ex-wife, Starr Gillespie. According to his wishes cremation has taken place. Friends may visit with Dave’s family from 2-4 P.M., Friday September 8, 2017 at the Winkel Funeral Home, Otsego. Contributions in memory of Dave may be made to the Parkinson’s Association of West Michigan. Ken “Finished Strong” surrounded by his family as he went to meet his Lord and Savior, Jesus Christ on Monday, August 28, 2017 at his home in Otsego. He was born May 3, 1938 to Silas and Johanna (Veenstra) Doctor in Ellsworth, MI. 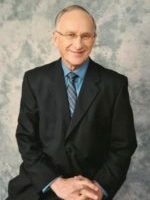 Ken was a graduate of Ellsworth High School, Cedarville and Central State and received his Masters from Western Michigan University. For 10 years he had taught at the State Technical Institute at Pine Lake. He had also spent 2 years teaching missionary children in Fortaleza, Brazil with Baptist Mid Missions. After returning to the states he continued in Christian Education and spent the last 14 years as Administrator for Otsego Baptist Academy. For many years Ken worked part time in real estate including time at Cornell Associates. In his spare time he enjoyed, golfing, fishing, hunting and bowling with his family. Ken was a member of the First Baptist Church of Otsego. He served as a deacon, Sunday school teacher and in the calling and outreach ministries. After his second bout with cancer Ken wrote a book “Finishing Strong God’s Way” sharing lessons he felt God was teaching him. On December 28, 1963 he married Donna Roost who survives. Also surviving are his children, Kendra (Larry) Walker, Mark Doctor and Matthew Doctor; 7 grandchildren, Luke, Lindsay, Joel and Seth Doctor and Victoria, Josiah and Leah Walker; 1 great-grandson, Caleb Doctor; siblings, Bob (Peggy) Doctor, Fay (Ted) Sesslar, Vangie (Mel) Willie and Silas (Mary) Doctor along with many treasured nieces and nephews. Friends may visit with Ken’s family from 2-4 P.M. and 6-8 P.M., Thursday, August 31, 2017 at the Winkel Funeral Home, Otsego. A funeral service will be held at 11:00 A.M., Friday, September 1, 2017 at the First Baptist Church of Otsego with Pastor Paul Laborde officiating. 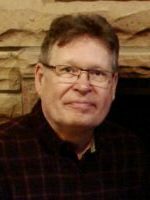 Contributions in memory of Ken may be made to First Baptist Church Mission Fund for the Huseby’s cancer expenses, Scholarship Fund for Otsego Christian Academy or to Christian Neighbors. Bill passed away Thursday, August 24, 2017 at Rose Arbor Hospice. He was born April 28, 1935 in Allegan the son of Louis and Helen (Wheatly) Doest. Over the years Bill had worked at Valley Metal, Bills Bottle Gas, Midwest Aluminum, Denooyer Chevrolet and Aspen Park Apartments. In his spare time he enjoyed buying and selling cars and going to yard sales. He had attended the Otsego Church of God. Surviving are his children, Cindi (Dan) Witt, Bill Jr. (Diana) Doest, Sharon (Bruce) Milhiem, Ron (Louellen) Doest and Rick (Dawn) Doest; 14 grandchildren; 27 great-grandchildren; 1 great-great-grandson and sister, Claudya Thomson. He was preceded in death by his parents, sister, Stella Wilson and brother, John Doest. Friends may visit with Bill’s family from 5-7 PM, Sunday, August 27, 2017 at the Winkel Funeral Home, Otsego. A funeral service will be held Monday, August 28, 2017 at 12:00 PM at the Otsego Church of God with Pastor Stephen Burrow officiating. Burial will follow at Sacred Heart Cemetery in Watson Township. Contributions in memory of Bill may be made to Otsego Church of God or to Rose Arbor Hospice. 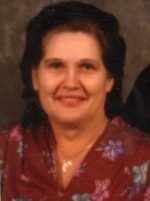 Martha Jean Bell passed away Thursday, August 24, 2017 at her home at Baraga Manor. She was born in Moline, Illinois, January 11, 1924 to Otto and Elsie (Waterworth) Agy. 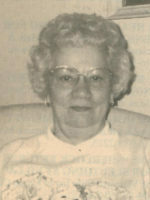 From age 4 she grew up in Gun Plain Township and graduated from Plainwell High School in 1941. She married Kember Bell and they enjoyed 58 years together with their beloved children. As well as in Michigan, she had resided in Kansas, Arkansas and Texas, working with churches and other volunteer projects. In early adulthood, she worked in clerical and retail, later retiring from WEBB &H Attorneys as a legal secretary. Following her retirement she worked at Ozark Guidance Center in Springdale, Arkansas as a medical transcriptionist. In her lifetime she enjoyed writing and publishing both prose and poetry, knitting, crocheting, editing newsletters as well as various volunteer projects. Martha accepted Christ in early adulthood and enjoyed many years involved in working with children’s church activities. In her later years she attended Friendship Wesleyan Church. She was preceded in death by her parents, husband, son, William Bell in 2005; daughter, Shirley Rae Andress in 2009; sister, Ellen Falkenstein; sister-in-law, Jo Agy, brother-in-law, James Falkenstein and great-granddaughter, Ashley Pallett in 2016. According to her wishes cremation has taken place. Burial of ashes will take place at Mountain Home Cemetery, Otsego Township at a later time. Contributions in memory of Martha may be made to the West Michigan Cancer Center or the charity of choice. Steven Edgerton went to be with his Lord Sunday, August 20, 2017 surrounded by his family and friends at Spectrum Blodgett Hospital. He was born June 22, 1951 in Allegan the son of Milton and Mary (Jordan) Edgerton. For over 35 years he had worked at Perrigo as a graphic artist until his retirement in 2013. 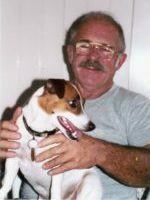 In his spare time Steve enjoyed spending time with his family, researching cars, photography, working in his flower gardens and taking walks with his dog, Mr. Woffie. Steve loved his family and left them with the most valuable thing, their faith in God. He was a very supportive husband, father and brother. 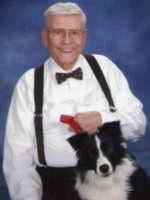 He was a member of Peace Lutheran Church in Otsego and the Chula Vista Garden Club. On September 23, 1978 he married Sharon Henderson who survives. Also surviving are his son, Jason (Rebeca) Edgerton of Stevensville; siblings, Linda (Rick) Flynn of Allegan and Jan Edgerton of Galesburg; nephews, Mike, Zach and James and niece, Judy. Friends may meet with Steve’s family from 2-4 P.M. and 6-8 P.M., Wednesday, August 23, 2017 at the Winkel Funeral Home, Otsego. A funeral service will take place at 11:00 A.M., Thursday, August 24, 2017 at Peace Lutheran Church in Otsego with Pastor Nathaniel Timmermann officiating. Burial will follow at Mountain Home Cemetery, Otsego Township. Contributions in memory of Steve may be made to Peace Lutheran Church Technology Update Fund. 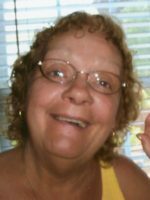 Janet passed away Thursday, August 17, 2017 at Wings Home in Allegan. She was born January 10, 1944 in Kalamazoo the daughter of Edward and Verda (Whitmore) Haring. For many years she had worked at Perrigo and at the Big Boy in Plainwell. In her spare time Janet enjoyed being outdoors, snowmobiling and going mushroom hunting with Frank. She was a wonderful cook and liked making meals for her family especially her goulash, zucchini bread, rice pudding and chicken and dumplings. Janet also loved animals especially her puppy Sasha. Surviving are her loving companion, Frank Krueger; children, James Bryan Keast of Chesterfield Twp., MI, Jeannine Marie Koehler of Colorado, and Jennifer Lynn Leeper of Florida; 8 grandchildren; 6 great-grandchildren; 3 sisters; 4 brothers along with many nieces and nephews. She was preceded in death by her parents and son, Joseph. A memorial visitation will be held from 4-6 P.M., Saturday, August 19, 2017 at the Winkel Funeral Home, Otsego. In lieu of flowers contributions in memory of Janet may be made to the Wings Home of Allegan. Vawn passed away Wednesday, August 16, 2017 at Stanford Lodge in Plainwell. She was born January 7, 1921 in Kalamazoo the daughter of Charles and Hettie (Hoodemaker) Campbell. Vawn had worked at the Kalamazoo Country Club as a waitress. As a young girl she enjoyed trips to the family cottage at Baseline Lake with her mother. In her spare time she liked knitting, crocheting, bowling, fishing, dancing, playing cards, summers at Baseline Lake, spending the winters in Florida and golfing in area leagues until she was 93. Most of all she loved spending time with her family and friends. Vawn was a devoted wife, mother and grandmother. She was caring and nurturing and was always helping someone before herself. Vawn fixed lunch every day for the farm help and her family. On May 24, 1940 she married Edward Drobny who passed away in 2000. Surviving are her children, Veronica (Ken) Crowell and Gary (Harriette) Drobny; daughter-in-law, Jacque Drobny; 6 grandchildren, Chad (Sally) Drobny, Christy (Drobny) (Russ) Carpenter, Marni Drobny and Dave Klein, Matthew (Kelli) Drobny, Jason (Maxine) Crowell and Steven (Amanda) Crowell; 9 great-grandchildren, Morgan, Carly, Chase and Erica Drobny, Abigail and Emma Owens, Carly (Blake) Holland and Evan and Landon Carpenter; great-great-granddaughter, Amelia; niece and nephews, Malcolm, David and Sharon and special cousin, Gary Stewart Jr. and family. She was preceded in death by her parents, husband, son, Charles Drobny in 2003 and siblings, Dwight Campbell, Virginia Miles and an infant sister. Friends may visit with Vawn’s family from 5-7 P.M., Friday, August 18, 2017 at the Winkel Funeral Home, Otsego where a funeral service will be held at 11:00 A.M., Saturday, August 19, 2017 with Pastor Joe Shaler officiating. Burial will follow at Alamo Center Cemetery. Contributions in memory of Vawn may be made to Hospice Care of Southwest Michigan. Judy went to be with her Lord on Monday, August 14, 2017 at Borgess Medical Center. She was born September 30, 1939 in Kalamazoo the daughter of Sam and Jacoba (Bergler) Adams. Judy was a 1957 Kalamazoo Christian High School graduate. She had worked as an office manager at Western Michigan University until her retirement. Judy was very athletic and in the 1950’s had played Jr. Lassies baseball, she also enjoyed bowling, golfing, softball and had umpired many little league games. Judy loved babies especially her grandchildren and liked spending time with her family. She was an active member of Centerpoint Church of Kalamazoo. On September 18, 1959 she married Glenn Timmerman who survives. Also surviving are her children, Jeff (Beth) Timmerman of Kalamazoo and Jodie (Cory) Evans of South Carolina; grandchildren, Erin (Ian) Vargo, Jenna (Michael) Coyle, Kyle Timmerman, Andrew Timmerman and Bohdan Evans; 2 great-grandchildren and her sister, Sharon Overbeek. She was preceded in death by her brothers, Jack and Duane. Friends may visit with Judy’s family starting at 10:00 A.M., Thursday, August 17, 2017 at the Winkel Funeral Home, Otsego until the time of the funeral service at 11:00 with Pastor Darwin VanderWal officiating. Burial will follow at Alamo Center Cemetery in Alamo Township. 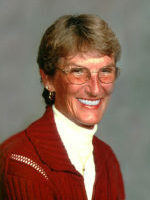 Contributions in memory of Judy may be made to the American Cancer Society. 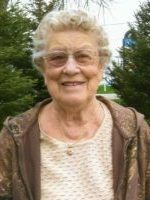 Eudora passed away Sunday, August 13, 2017 at Life Care Center in Plainwell. She was born August 29, 1925 in Dunkirk, Ohio the daughter of Desmer and Cora (Gilliam) Conrad. For 17 years she had worked at Parker Hannifin. In her spare time she enjoyed going to flea markets, reading, sewing, dancing and working in her yard. Eudora was a member of the Eagles. Surviving are her children, Charles Smith, Shari Smith-Dortch, Elva Smith- Chambless, Harriett Smith-Drobny, Richard Smith, Sondra Smith-Richards, Jeannie Roebuck and Carl Dortch; 30 grandchildren; many great and great-great-grandchildren and niece, Judy Vanderslik. She was preceded in death by her parents, children, Sherriann Dortch, Sara Zupanic, James Baker and Russell Smith and her sister, Lenora. A memorial service will be held at 11:00 A.M., Wednesday, August 16, 2017 at the Winkel Funeral Home, Otsego with Pastor Ray Brown officiating. Burial of ashes will take place at Mountain Home Cemetery in Otsego. Contributions in memory of Eudora may be made to The ARC for people with intellectual and developmental disabilities.